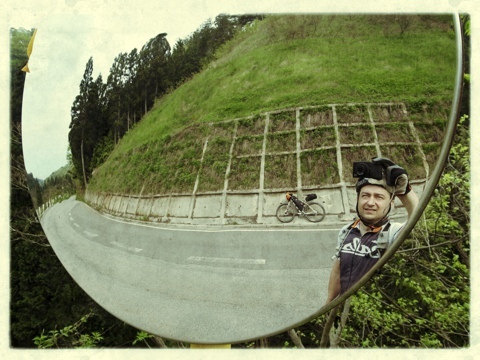 Rode kilometer after kilometer of beautiful mountain roads in the Noto area. Incredible journey so far. Really loving my bike (Salsa Fargo) and gear set up. Just right for long and light days in the saddle. Ah the Japanese cement walls and curved mirrors. Keep living the dream. I’m looking forward to the Lego man portraits! Live it up sir. You need to get to Hida (Gifu prefecture) and follow the river down Gifu city. Fantastic scenery, hot springs and it is all (pretty much) down hill. Didn’t know you were going, I am very envious! Have fun.